Check out our latest news, learn how to use our brand and discover what the internet is saying about us. Want to get in touch? Drop us an email. London, 10th September 2018 - Three months since its launch, Rydoo, Sodexo group’s corp-up, has enhanced its travel and expense management application by integrating with Uber for Business. The integration aims to eliminate friction related to employees’ ride reimbursement. The news demonstrates a shared ambition to offer a seamless business travel experience with a simple, intuitive and fully-connected approach, anywhere in the world. Paris, June 5th 2018 - World leader in Quality of Life services, Sodexo, together with Xpenditure and iAlbatros unveils Rydoo, the new platform that eliminates daily administrative tasks starting with business travel and expense management. Launched in France and worldwide today, Rydoo aims to unlock the full potential of a dynamic yet old-fashioned market, while supporting the digitization of workplaces. 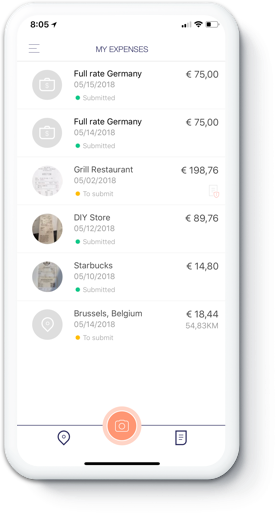 Travel and expense management mobile app Rydoo has made its market debut as a result of a collaboration between Sodexo, Xpenditure and iAlbatros, the companies announced Tuesday (June 5). Download all Rydoo brand assets here.